SEO is competitive because search engines are always seeking to deliver the best possible results for each query. Your site’s structure, content and link profile are constantly being evaluated and compared to your peers in order for Google to ensure the most relevant content appears. For example, if you’re a dentist in Rutland, Vermont, Google will constantly be comparing your site to the others so that when someone searches, ‘best dentist in Rutland’ the most relevant and user-friendly site appears. When developing an SEO strategy, whether it’s local or global, evaluating your competition is an important step. Not only will it show exactly where you need to focus, it can also help you gauge how large of an investment is necessary to remain above your competitors for the foreseeable future. Here’s our guide on where to look and what to learn from your competition’s SEO. The first step is identifying your digital competition. 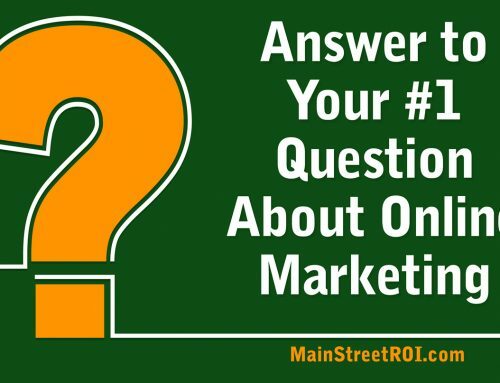 This might seem obvious but it’s not uncommon for unexpected businesses to have an SEO edge. For example, your biggest competitor historically has been the other accountant across the street but in search results, this accountant may not even be ranking whereas the new business across town who has a highly optimized website might be ranking number one. To determine your true SEO competition, take an inventory of all the variations of search queries you can think of for your business. Systematically record where your business is appearing in these search results and which competitors are constantly ranking with or above you. These are your SEO competitors. Website structure: Does the competitor have different pages for each of their core services or product offerings so that each can be optimized individually? Often, businesses clump all their services offerings on a single page which makes it very difficult for Google to determine what to focus on. Title Tags, Meta Description & H1s: Does the competitor have keyword-optimized (and location-optimized, if local) Title Tags, Meta Descriptions, and H1s which all align with each other on important pages? This trifecta gives Google a very strong indication of what each page is supposed to focus on and is an essential formula for strong rankings. Website Content / Copy: Does the competitor have sufficient content on the pages, and does the copy incorporate relevant keywords? Google recommends at least 800 words per page on important pages of keyword rich and high-value content. Also, check if the competitor has an active blog and if they are consistently creating search engine optimized content. Technical: Does your competitor’s site have correct canonicalization? A properly installed schema markup? A properly installed XML sitemap? Does the site load to HTTPS? Does the site have broken links? Is the site mobile friendly? And, is the site’s load speed within Google’s recommendations? Domain Authority: Domain authority is the single most important indicator of off-page SEO strength. Mimicking Google, Moz’s Open Site Explorer assigns a numerical score designed to indicate the relative trustworthiness of your site. Just like search engines, Moz scans the internet to determine the size of your digital footprint and what quality of sites are linking back to you. Your competitor’s score versus your own is a very strong indicator of how close you will rank. Local SEO: Use Moz’s Local Search tool to determine how strong your competitor’s presence is in local listings. Does your competitor have a more complete and consistent local citation profile than your business? Google My Business: Find your competition in Google My Business and evaluate the strength of their profile. Do they have reviews? Is their account verified? Does their profile have the correct primary business category listed? Link Profile Trends: While it’s a paid tool, ahrefs.com features the best big data tracker of backlinks and referring domains. Most importantly, their huge data set tracks links over time so you quickly see how your competitor’s off-page SEO has fared over the past few months, past year and beyond. If the number of your competitor’s referring domains has doubled over the past year, then it’s time for you to develop a robust backlink strategy! Conclusion: What Can Be Learned? Keep in mind that no website has perfect SEO, and each has strengths and weaknesses. 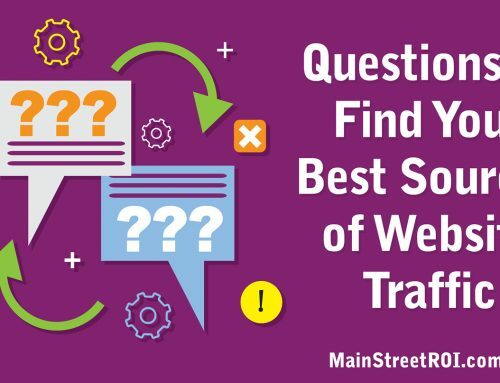 Use these tools and criteria to systematically evaluate the highs and lows of your competition versus your own SEO plan then think strategically about how to outperform them. For example, imagine a competitor has a site with fantastic optimized content, very solid on-page SEO, but very weak off-page SEO while your site has very strong off-page SEO and mediocre on-page. This indicates that you need to devote more resources to improving your on-page SEO to bring yourself up to your competitors level. In essence, you must take an honest look at your competition’s SEO strengths versus your own and then forge a strategy which systematically closes the gaps in their SEO advantages, so you can catch up in the rankings.